The stadium is used for several events, like bandy, concerts, football and motorcycle speedway. The national football team of Sweden played numerous home games at the venue. In 1958, they reached the final of the prestigious FIFA World Cup for the first time in their history. 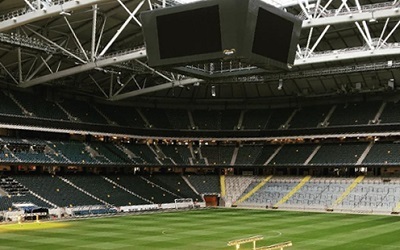 AIK are the tenants of the Friends Arena. They drew an average attendance of 18,000 in 15 home games in their first-ever domestic top-flight football league season at the venue. AIK became the first Swedish sports club with 100,000 followers on their main social media page.